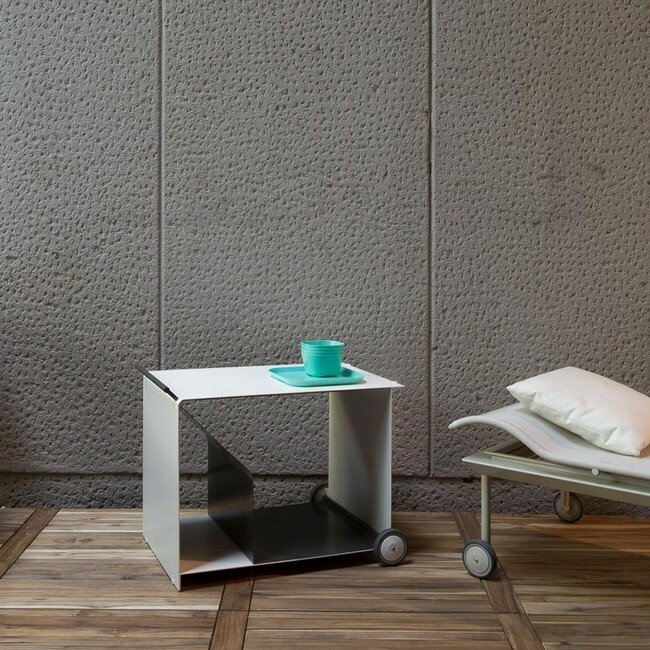 Cabriolet is a aluminium convertible trolley, from a side table to a coffee table. 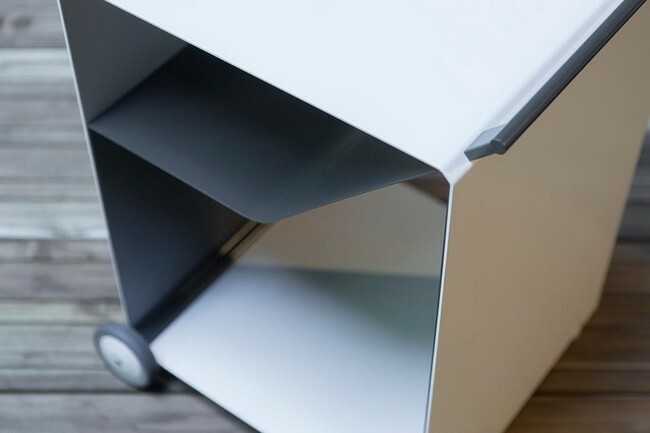 The light and modern structure, in powder coated aluminum, creates spaces for storing things. The possibility to turn it over, creating two different height, and easiness in shifting are guaranteed by practical wheels. Cabriolet trolley in side table position. Cabriolet trolley in coffee table position. Cabriolet detail of powder coated aluminium. 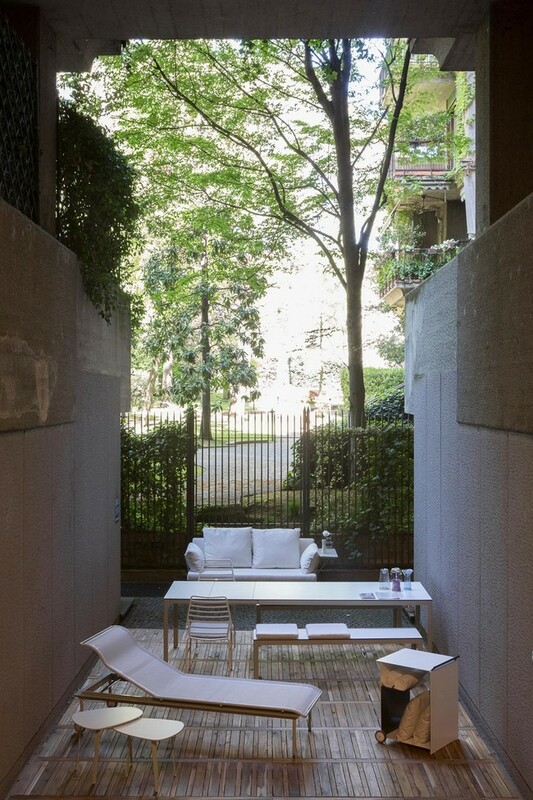 Cabriolet trolley during Fuorisalone 2016 in the Brera Design District.